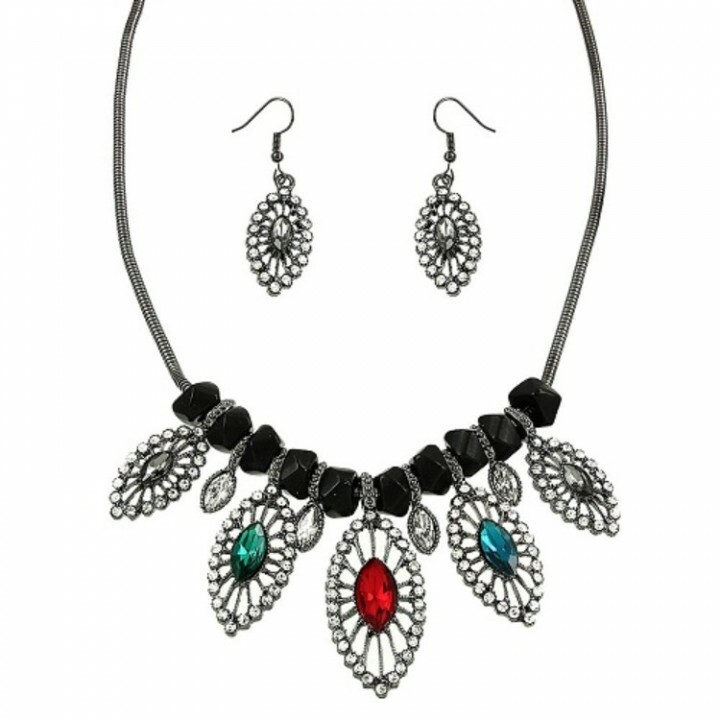 Fashion jewelry dramatic vintage style hematite plated marquis multicolor crystal and rhinestone charm bib necklace and earring set. 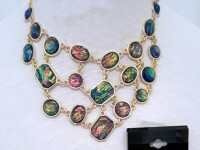 - Black stone accents along necklace. 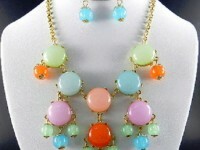 - The crystals and rhinestones on this charm necklace set are dazzling. - Black stone accents surround the charms. The chain and earrings are dark gray hematite. - Earrings on fish hooks are 1.25" long and 1/2" wide. 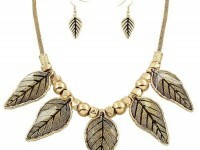 Free gift bag with jewelry purchase while supplies last.